Flexible Sailing course dates to suit you. 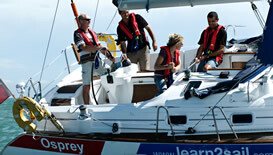 Sail training courses available all year round. 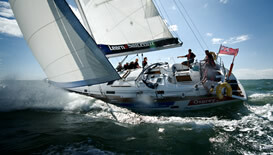 You progress right through from beginner to advanced with the help of Learn2Sail. Our practical sail course fees include breakfast, lunch, fuel and wet weather gear. See below for further details. Day Skipper theory and Yachtmaster theory run from Saturday to Wednesday/ Thursday (4 - 5 days). Competent crew, Day Skipper and Yachtmaster practical courses start from Wednesday through to Sunday (5 days) or you can choose to take the course over 3 weekends (6 days) Friday evening to Sunday afternoon (subject to availability). Each practical sailing course fee includes: accommodation on board, breakfast and lunch (evening meals are not included as we have found people prefer to eat out in the evening and to enjoy the local eating establishments) , mooring fees, fuel and free use of wet weather gear. All courses fees quoted are inclusive of VAT. All year round – Portimao, Portugal. 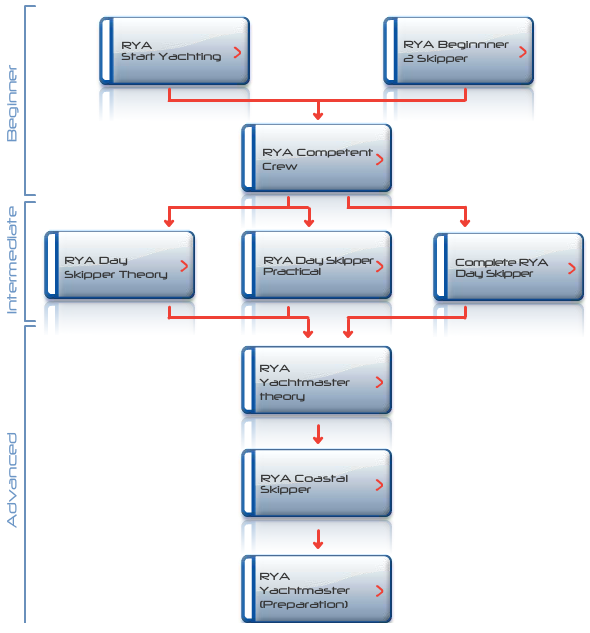 This chart shows how you progress through from beginner to advanced when learning to sail with us. Please select a course for further information.